Rustic garden projects that may appeal to you can be simple yet fun and add a new dimension to your garden such as a succulent filled tower, a twig obelisk or twig tuteur, a rustic garden shed or other rustic garden structure. Choose your next rustic garden project; you won’t be able to stop at one. Building creative and different garden crafts to showcase in your garden can be simple, such as a thrift store garden totem, or more complex like hypertufa projects. 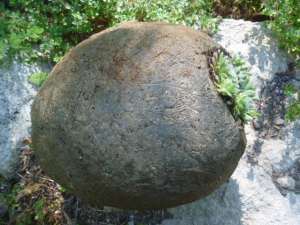 This amazing material will get you enthused about making crags, pinch pots, paving blocks, planters, hypertufa hands, leaves, spheres and many more intriguing and unique garden crafts. Rustic twig fences are perfect rustic garden projects to define perimeters of different garden rooms or around a vegetable or herb garden. Keeping to one or maybe two styles of garden fence designs is best; avoid a hodgepodge of different techniques and take a sleek streamlined approach to your rustic garden projects. I use a palisade fence around the outermost boundary, and then define smaller areas within that with twig picket fences, which are similar but much lower. The boundary can be planted with scrambling vines for an established and aged feel. A twig lattice can be added to the top of your fence for height. In this way you have the best of both worlds; privacy, and yet it allows you to see into the different areas. Twig archways help define areas within the garden – a place to pause in transition from one style to another more private place and provide support for climbing vines. A rustic garden chair that can be used either as seating, or to plant a tumbling Clematis under is a charming and delightful project. Use an old metal chair to plant succulent plants into as a unique accent. Other rustic projects can be utilitarian yet useful, like a twig firewood tote. Twig trellises and obelisks use waste twigs and branches to make a beautiful accent. Build a potting bench to place in a convenient shady spot so you have a place to transplant some seedlings, or even propagate some perennials, or simply to display some vintage watering cans add country charm to your garden. 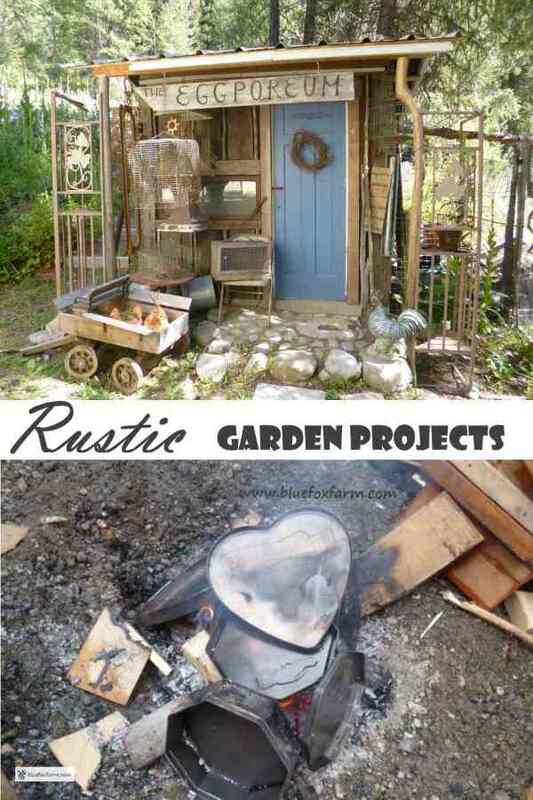 What is your next rustic garden project?